Read 2 times. Last read January 10, 2013 to January 19, 2013. 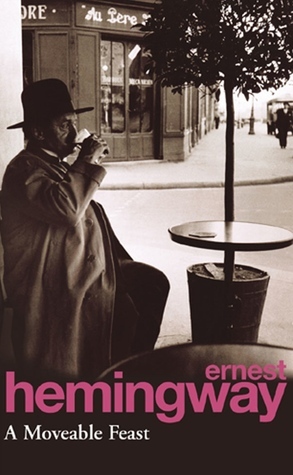 I can't help thinking that "A Moveable Feast" is a kind of Facebook into Hemingway's Parisian past. Hemingway writes of himself and in particular, Scott Fitzgerald, as if he were posting on social media private details about a recent event. I don't mean to cheapen the work by comparing prosaic Facebook with Hemingway's genius but the raw public openness is analogous. I felt Hemingway's poor and happy nostalgia marks the end of his innocence and the very ending made me tingle all over - at once identifying with him while hoping it is all in the past. In short, a masterpiece. Sign into Goodreads to see if any of your friends have read A Moveable Feast.